Spam is unsolicited commercial electronic communication, often delivered to a large number of individuals. Do not display your e-mail address in public. This includes in chat rooms, on responses to news stories or blog postings and in online membership directories. When submitting a form online, be sure that you have read through all of the information and understand what you are signing up for. You may be able to "opt out" of receiving e-mails from the company, and/or the company's "partners". 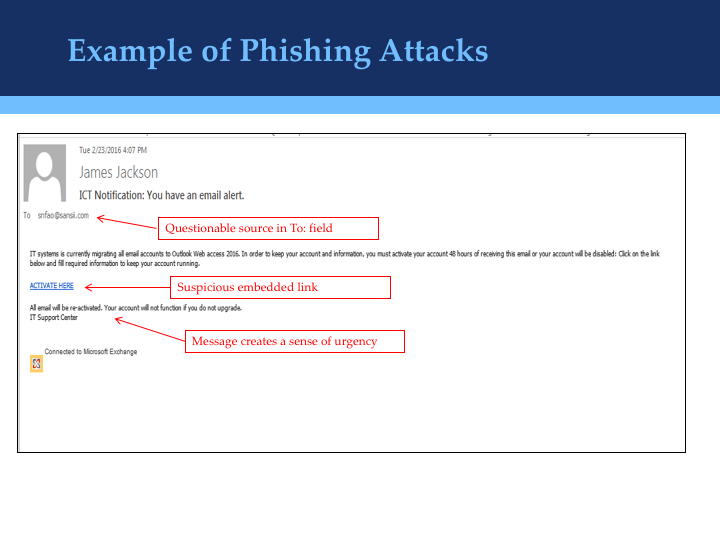 If you get spam e-mail that you think is deceptive, forward it to spam@uce.gov. The Federal Trade Commission uses the spam stored in this database to pursue law enforcement actions against people who send deceptive e-mail. For additional information, visit the FTC's Spam Web site. 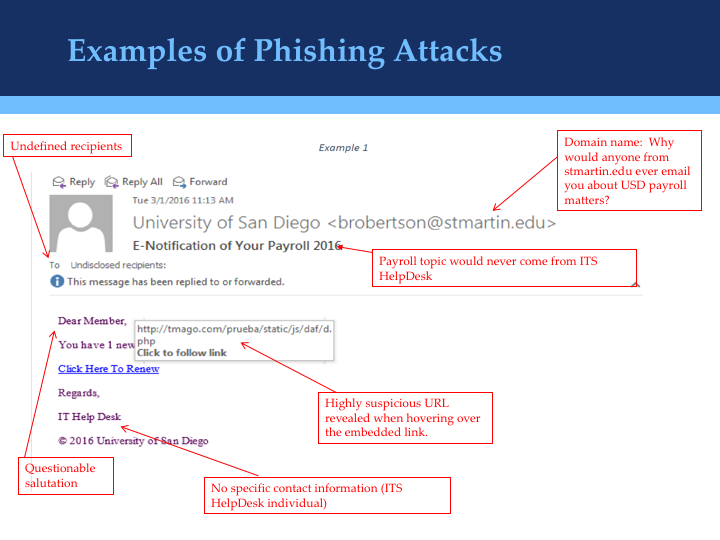 Phishing is an attempt to obtain personal and/or financial information from an individual through the use of e-mail links or pop-up boxes. These methods are often designed to look like they come from an "official" source in an attempt to trick the individual into providing sensitive data. Urgent action required - examples: "Your account be locked out if you don't update your password", "Your account needs attention", "Your account has been compromised"
Generic greeting - examples: "Dear member, Dear Customer. 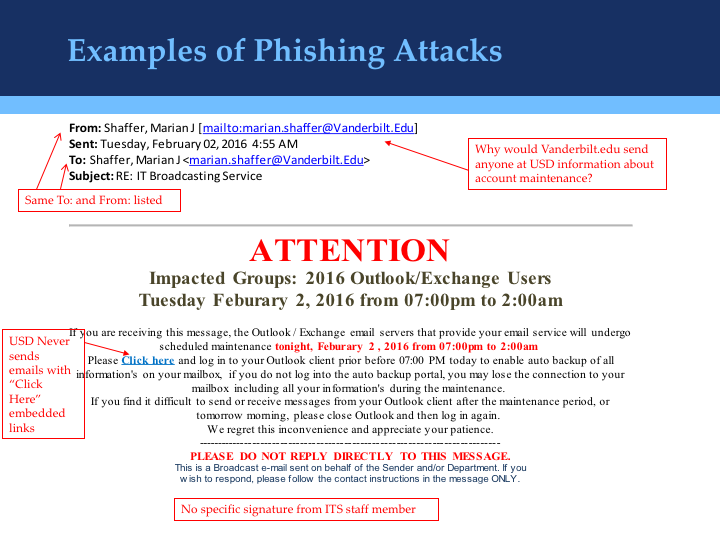 Latest Example: Phishing email sent out to campus on 07/02/2017 regarding merit increase. 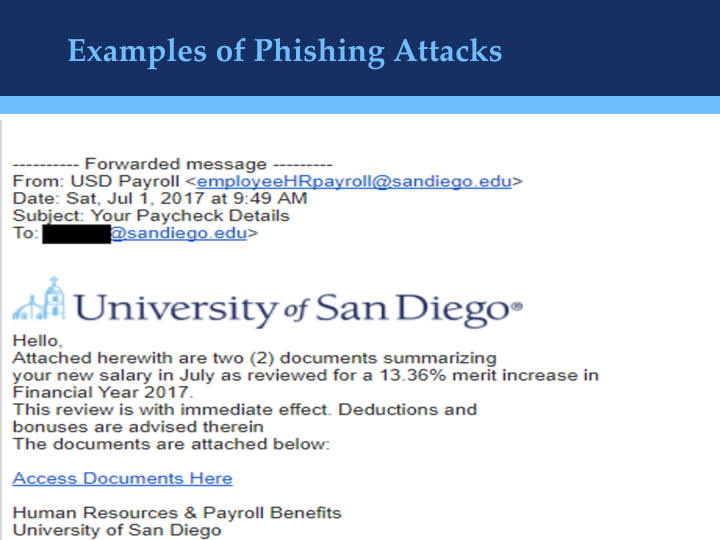 Payroll will never send emails regarding merit increases or emails with links to financial information. Please see example below. 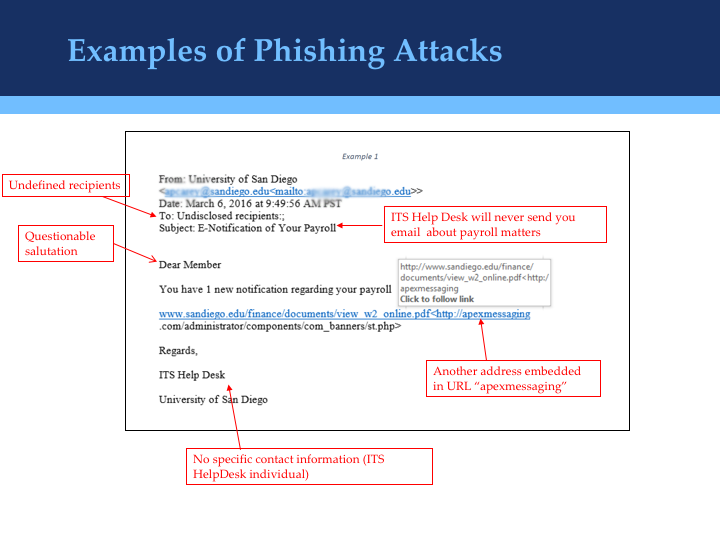 You can also report phishing e-mails to the Anti-Phishing Working Group, a volunteer organization that maintains a repository of phishing scam e-mails and Web sites to help people identify and avoid being scammed in the future.